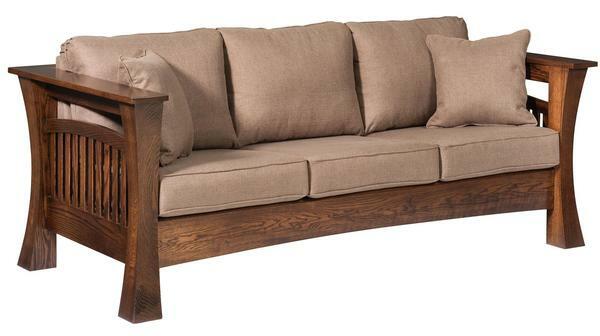 Beautifully built to provide years of coziness, the Amish Gateway Sofa offers a lovely living room centerpiece. Settling in for family time is a treat with this living room finery. Mission style shows off its simple and elegant nature with side slats displaying Amish craftsmanship that's not found in box stores. The Gateway Sofa will be there for you, the kids, the grandkids and beyond, offering softness, custom comfort and solid wood craftsmanship. Our team of Furniture Specialists is ready to assist when questions arise. Feel free to get in touch via email or phone. We thank you for shopping with DutchCrafters.